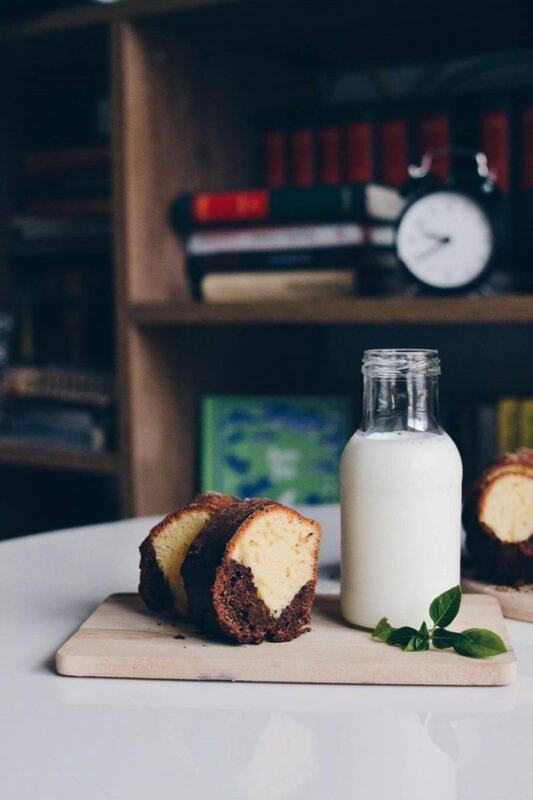 Prepare a 10 cm bundt pan with butter and flour and set aside. In a big bowl, beat sugar and eggs together with an electric mixer, or by hand. Add melted butter, vanilla and yoghurt and mix well. Pour the flour, salt and baking powder to the wet mixture and mix well. Pour 2/3 of the batter into the baking pan, then add the cocoa powder to the remaining batter and mix well. Add the cocoa butter over vanilla batter. Bake in the preheated oven for around 40 min, or until a toothpick inserted in the middle comes out clean.